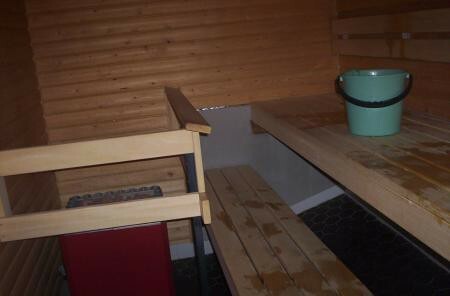 There are 3 types of sauna in Finland  (albeit many strange ones ). 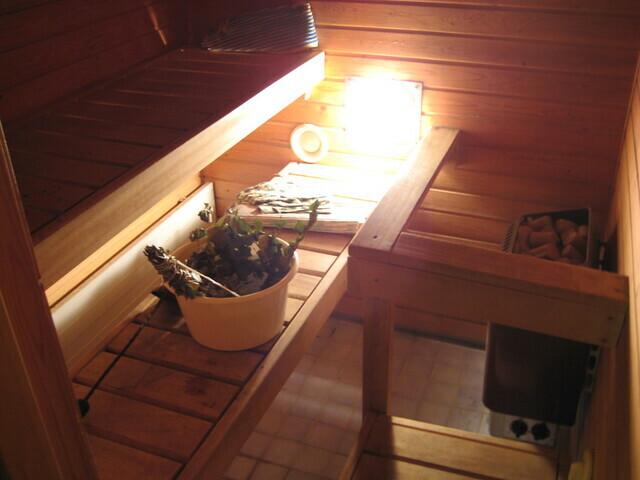 The Finnish sauna doesn’t have as much steam as the Turkish baths, but is in my opinion way nicer. To make the 90 degree Celsius sauna a bit more humid, you have to throw some water over hot stones. That will bring the heat up. The stones are on the right, over the oven. Source (CC: by-sa) . Some girls in the sauna. Source .